Specialist Salvatore A. Giunta distinguished himself conspicuously by gallantry and intrepidity at the risk of his life above and beyond the call of duty in action with an armed enemy in the Korengal Valley, Afghanistan, on October 25, 2007. While conducting a patrol as team leader with Company B, 2d Battalion (Airborne), 503d Infantry Regiment, Specialist Giunta and his team were navigating through harsh terrain when they were ambushed by a well-armed and well-coordinated insurgent force. While under heavy enemy fire, Specialist Giunta immediately sprinted towards cover and engaged the enemy. Seeing that his squad leader had fallen and believing that he had been injured, Specialist Giunta exposed himself to withering enemy fire and raced towards his squad leader, helped him to cover, and administered medical aid. While administering first aid, enemy fire struck Specialist Giunta’s body armor and his secondary weapon. Without regard to the ongoing fire, Specialist Giunta engaged the enemy before prepping and throwing grenades, using the explosions for cover in order to conceal his position. Attempting to reach additional wounded fellow soldiers who were separated from the squad, Specialist Giunta and his team encountered a barrage of enemy fire that forced them to the ground. The team continued forward and upon reaching the wounded soldiers, Specialist Giunta realized that another soldier was still separated from the element. Specialist Giunta then advanced forward on his own initiative. As he crested the top of a hill, he observed two insurgents carrying away an American soldier. He immediately engaged the enemy, killing one and wounding the other. Upon reaching the wounded soldier, he began to provide medical aid, as his squad caught up and provided security. 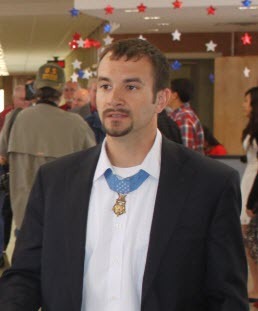 Specialist Giunta’s unwavering courage, selflessness, and decisive leadership while under extreme enemy fire were integral to his platoon’s ability to defeat an enemy ambush and recover a fellow American soldier from the enemy. Specialist Salvatore A. Giunta’s extraordinary heroism and selflessness above and beyond the call of duty are in keeping with the highest traditions of military service and reflect great credit upon himself, Company B, 2d Battalion (Airborne), 503d Infantry Regiment, and the United States Army. Special thanks to Gene's Photo of Gainesville for the group shot and all of the volunteers who donated photo's for our web page. 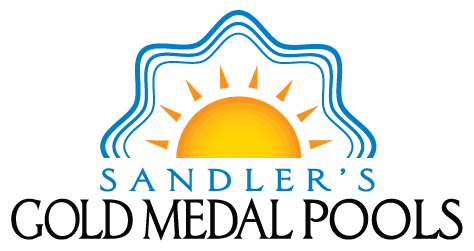 This is the official web site for The Medal of Honor Host City Program, a 501(c)(3), non-profit corporation and the only such program in the country. The Host City Program is not affiliated with any other web site, blog or social network presence on the world wide web.